In this film one encounters a man who lived life to the full, and crucially, lived out his own philosophy. He understood the import of Socrates’ maxim: ‘the unexamined life is not worth living’. Also, like Socrates, Frankl understood what it is to be human and to experience the panopoly of emotions; he experienced the nihilism of Auschwitz, the heights of academic and professional achievement, and the satisfaction of seeing his therapeutic theories impacting positively on so many lives. And of course as prisoners, Frankl and Socrates understood exactly what freedom was and its importance. Moreover, that both experienced imprisonment and the transcendence of suffering as intrinsic to the out-workings of a philosophy centred on meaning, was absolutely crucial. We know much about Frankl’s theories and philosophy from the publications he has left behind and the proponents of logotherapy and existential analysis. 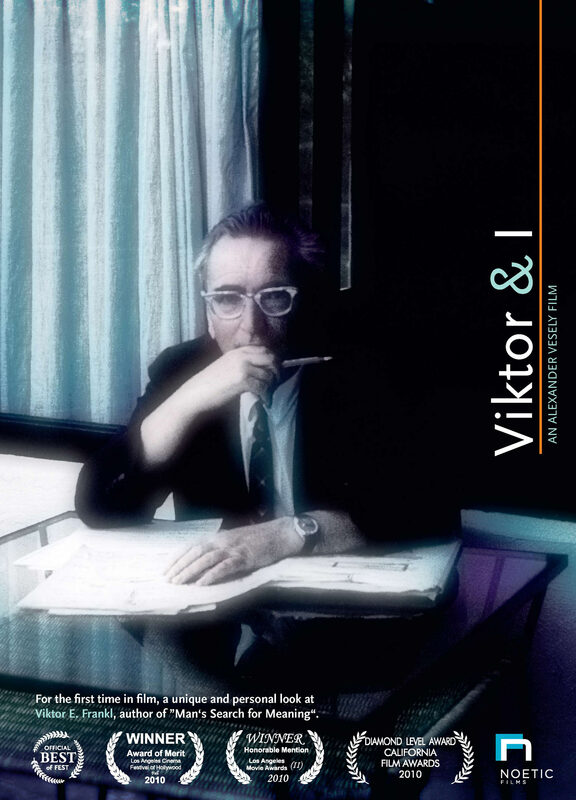 With the release of Viktor and I we now have a detailed exploration the life and character of Viktor Frankl. His grandson Vasily has done a fantastic job of interviewing a diverse range of associates, friends and family of his famous grandfather. What emerges is a portrait of a man who is generous, humorous, humble, intensely intellectually curious, and yes, perhaps even slightly vain. The most touching parts of the film are where the interviewees relate stories of Frankl in tears as he recounts, in very private moments, the dreadful cost of the Holocaust on those he loved. And then there is that magnificent moment when an almost blind Dr. Frankl shuffles across the stage to kiss his tearful wife as she receives an honorary doctorate from Northwestern University; in that poignant instant, we see a man who loves deeply and exudes gratitude. Viktor and I is a film that can only increase one’s admiration for a man who suffered appallingly, yet in and of that suffering found meaning and therefore led a life of self-transcendence and service to others. His legacy will live on, both in logotherapy and existential analysis, and in the hearts of those who knew and loved him most. Thank you for a very comprehensive review of Viktor and I. I haven’t seen the film in it’s entirety so I must obtain a copy. As well as mentioning his wondrous achievements I like the way you highlight Viktor’s vanity, which I expect he did fall victim to occasionally due to the massive adoration for him and his appalling suffering experienced in the concentration camps. I also think he was very protective and proud of his theories and probably this was justifiable. I agree we see the completely humble and loving Viktor Frankl when he congratulates his wife, compounding my view that Viktor Frankl’s legacy is shaped by the triad of a very stable moral upbringing by his parents, the endurance of suffering in the concentration camps, and the devoted love of his wives Tilly and Elly.